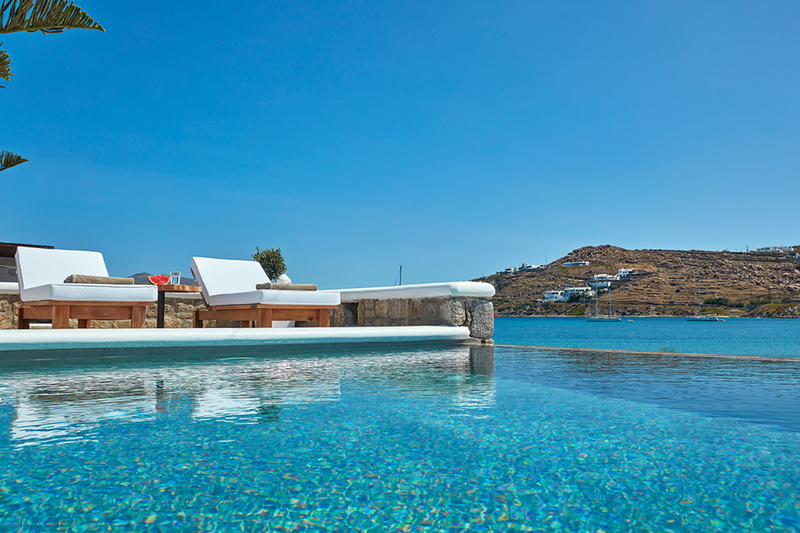 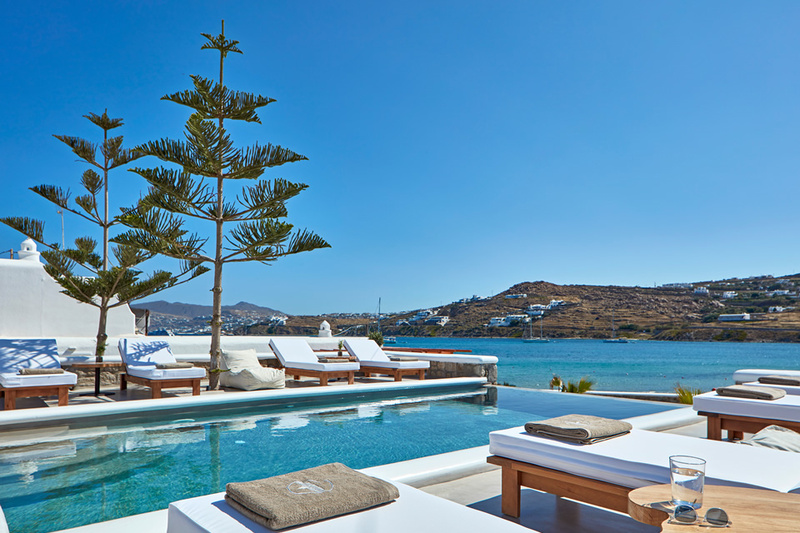 Mykonos Waves Beach House and Suites is a new luxury boutique offering its guests a laid back chilled out atmosphere. 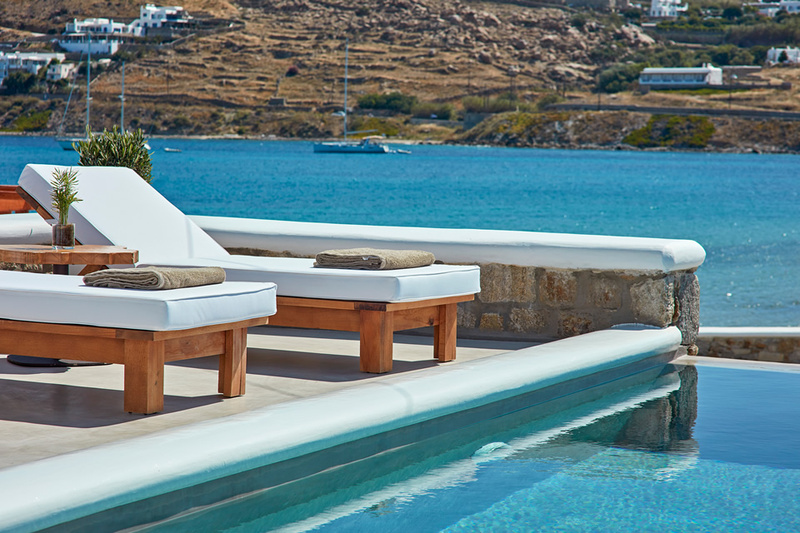 Spend your days lazing by the hotel’s infinity pool, enjoy lunch in a nearby taverna overlooking the sea and sip cocktails as the sun goes down. 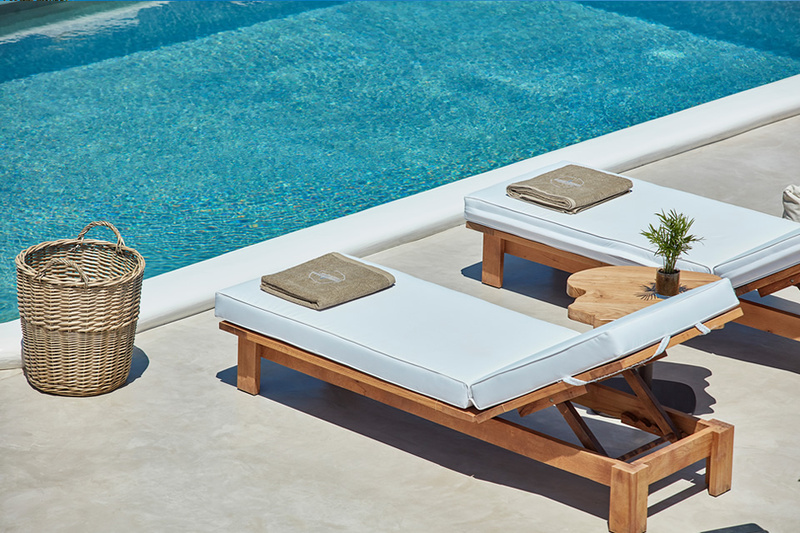 The hotel features a beautiful infinity pool overlooking the beach, sunbeds with parasols and complimentary beach/pool towels. 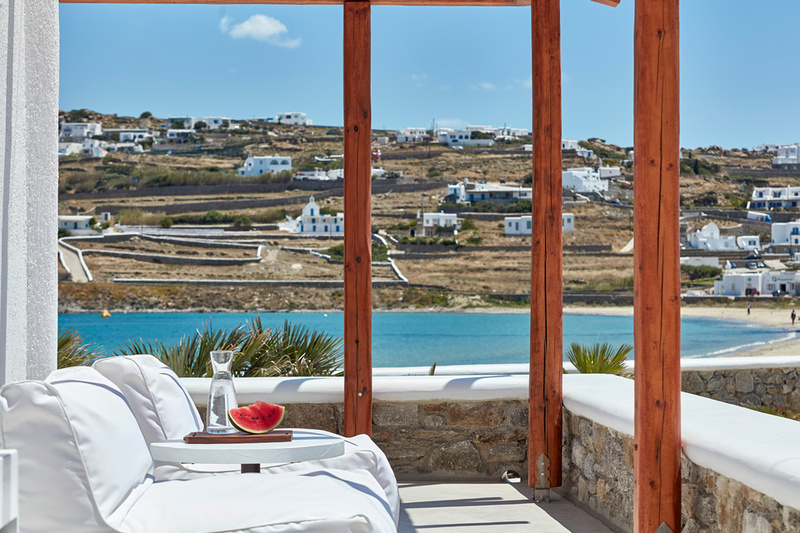 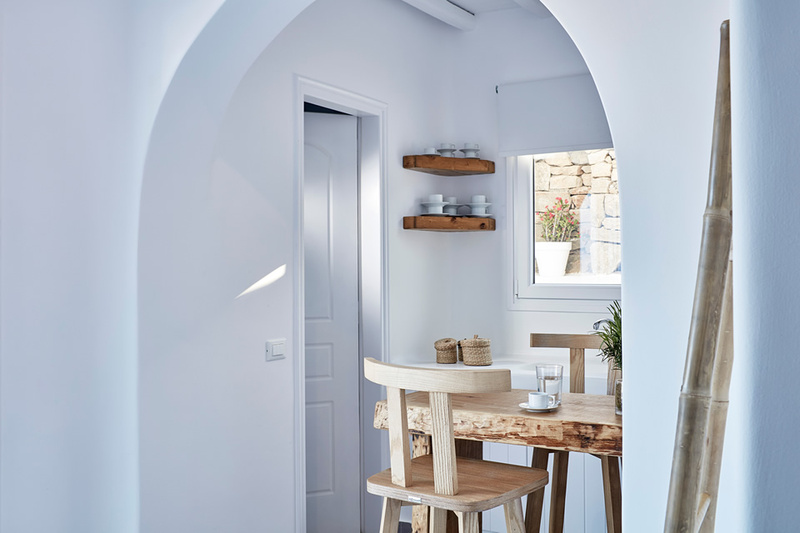 Each of the hotel’s rooms and suites enjoys beautiful views of the sparkling Aegean, all are furnished in simplistic luxury and offer a seating area with kitchenette. 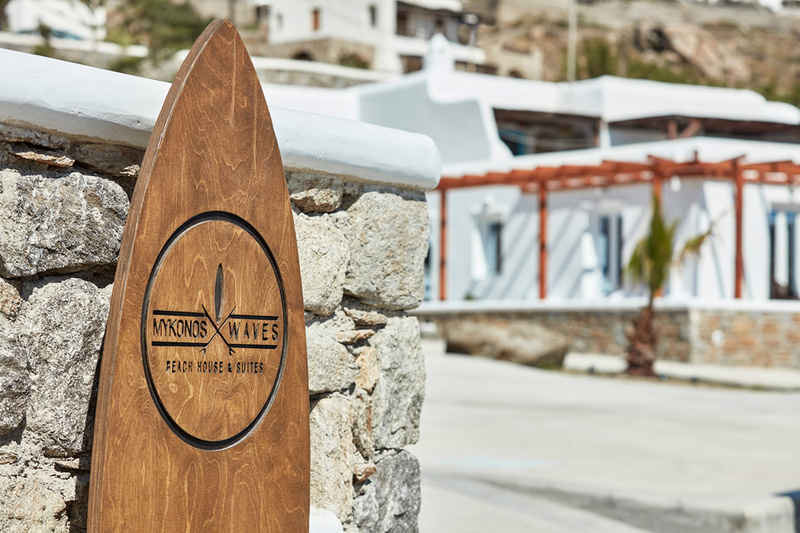 Located next to the beautiful Korfos beach which is a popular choice for kite and windsurfers, just 2.5km from Mykonos Town. 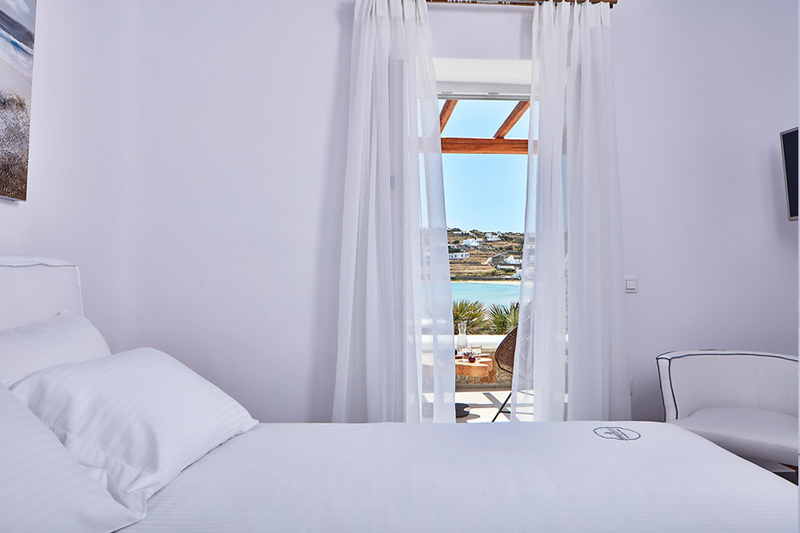 Set in a prime location offering amazing sea views, master bedroom with one double bed and en suite bathroom, seating area with sofa bed plus kitchenette. 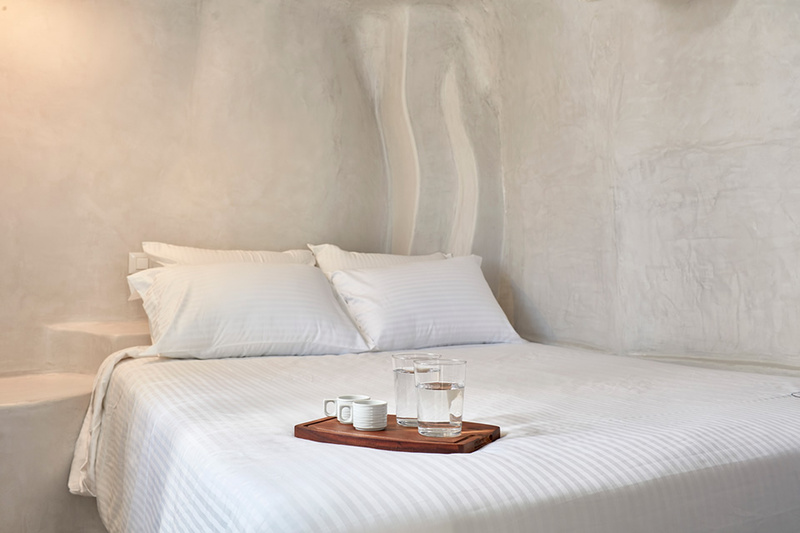 Room size 40-60 sq m making it perfect for couples and families seeking for space and comfort. 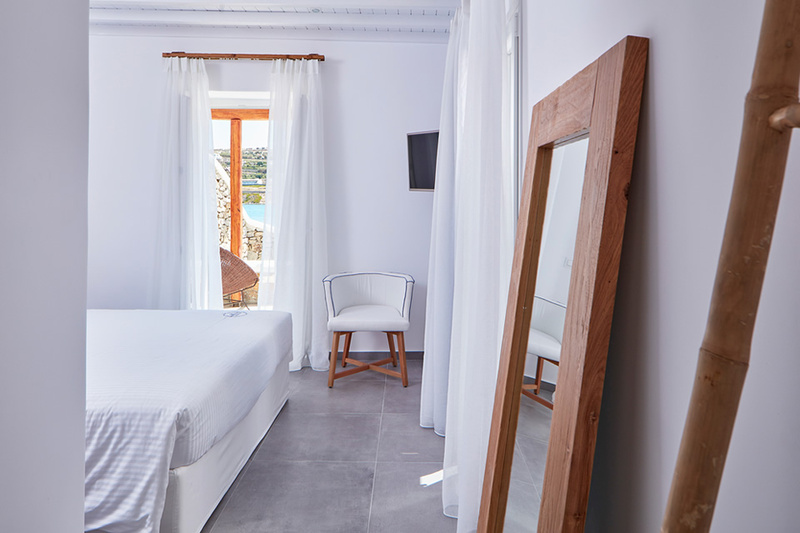 The suite offers one bedroom with a double bed and en suite bathroom, Seating area with a sofa bed and adjoining kitchenette. 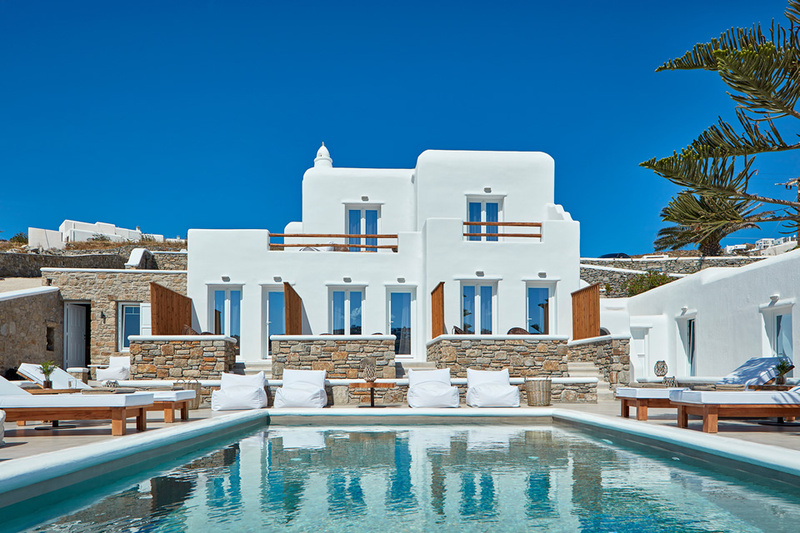 Room size 25-40 sqm, these rooms are located at the top level of the beach house offering amazing sea views. 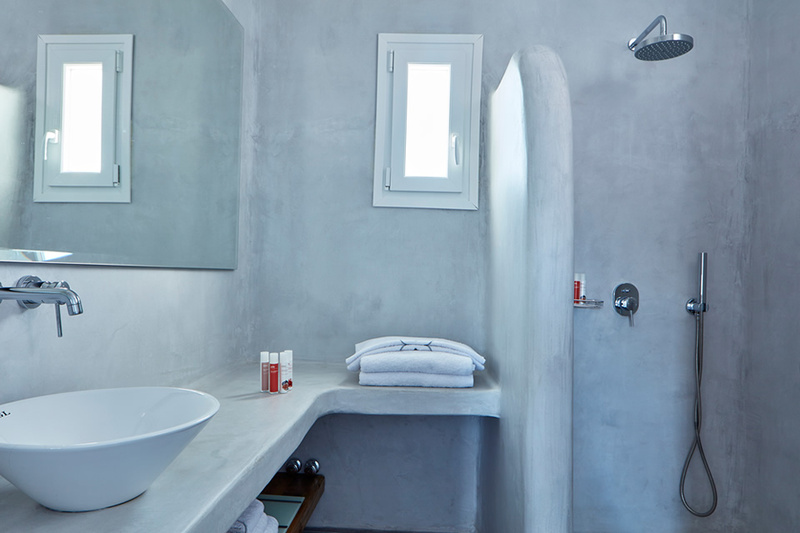 Master bedroom with one double bed and en suite bathroom, small seating area with kitchenette. 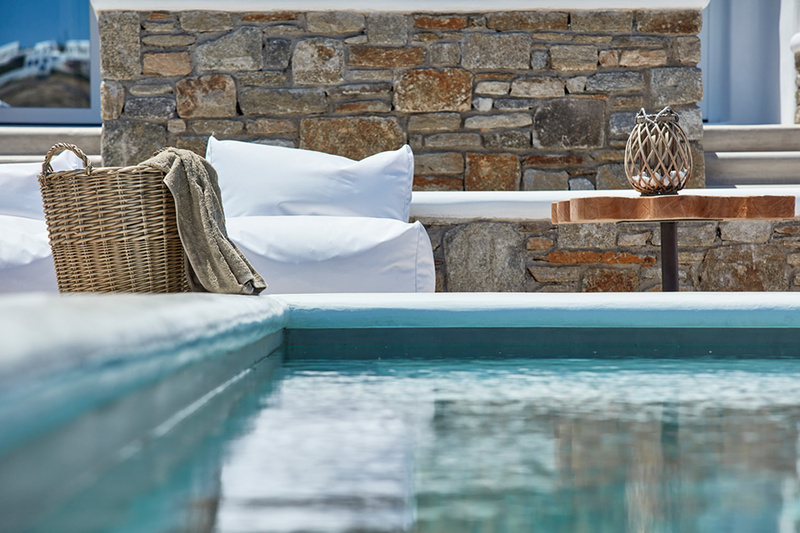 The spacious 70 sqm Beach House Sea view suite features a private outdoor jacuzzi tub, lovely views over the gardens, Korfos beach and shimmering Aegean. 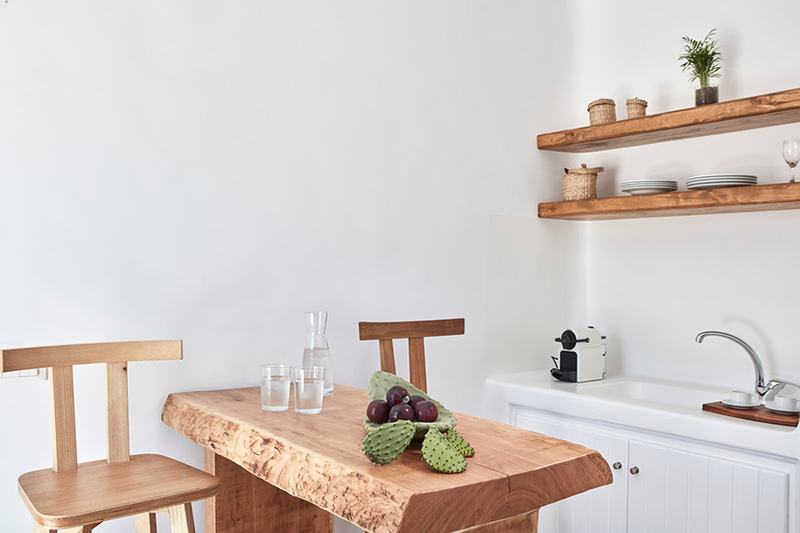 Offering 3 double rooms each with en suite bathrooms, a cozy sitting area with kitchenette. 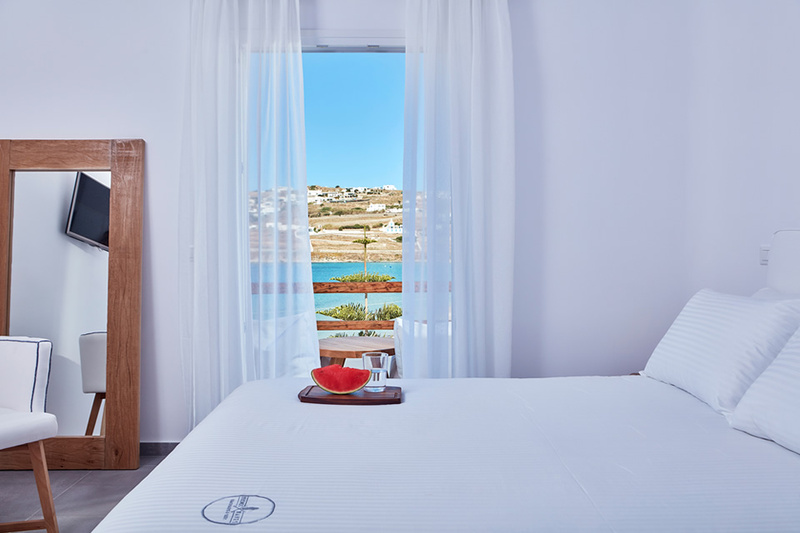 Fully Equipped Kitchenette, Kettles, N’espresso Coffee & Tie Facilities, Free Individual WiFi, Satellite & Cable T.V, Quality branded bed Linen, Beach & Pool Towels, Laptop Sized Safety Box, Flat Screen TV 32”, Bathrobes & Slippers, Individual Air conditioning units.